What was the weather like by you on the first day of Spring? It was cold and rainy here at Klockit HQ in Wisconsin! Even though the weatherman keeps promising warmer weather is ahead, we needed something special to put us in the Spring spirit – like sunny days, cookouts, campfires, and lazy days at the beach. Do you feel that Spring spirit yet? Let us help by introducing you to our top 3 products that are sure to get you in the mood for the Spring season! Seeing is believing, right? This outdoor thermometer from AcuRite will help you see that the weatherman is right…the weather really is warming up outside! 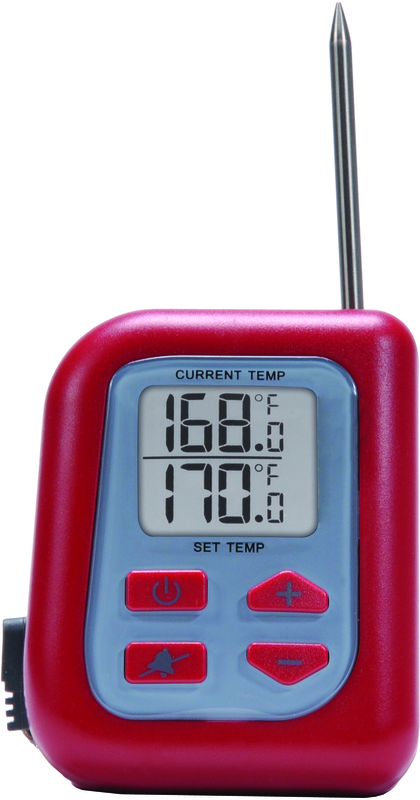 This thermometer features an LCD window, accurate readings, and a strong suction cup cling. Mount this thermometer outside your window and start believing for less than $8! Get it here, item # 16079. So now that you’ve accepted that warm weather is indeed here, it’s time to celebrate with a cookout. You’re slapped some burgers on the grill and positioned your AcuRite digital cooking thermometer just right. Close the grill and sit back because this product will monitor the temperature while your burgers cook. Plus, an alarm will go off when your burgers have hit the target temperature. Happy grilling! Get it here, item #16805. We’ve heard of a 3-in-1 and a 5-in-1, but an 8-in-1? 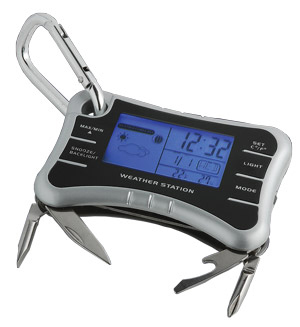 This pocket weather station is full of handy features including: an LCD screen that displays the forecast, alarm with snooze, compass, flat screwdriver, pocketknife, bottle opener, Phillips screwdriver and super-bright LED flashlight. Any of those features can come in handy during your future day outings at the ball game, beach or family cookout. Get it here, item #16668. Previous Article Woodworking Resource: KenCraft Co.